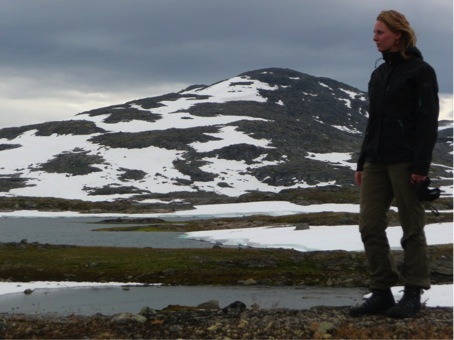 Monika Knul’s research will explore how mammals migrated and survived or went extinct during the last Ice Age. After finishing my Masters of Research (MRes) in Human Origins at Leiden University and working in commercial archaeology in the Netherlands, I started this PhD project under the supervision of Bournemouth University’s School of Applied Sciences’ Dr. John Stewart, Dr. Amanda Korstjens and Dr. Philippa Gillingham. The project examines the dynamics of geographic ranges of both mammals that went extinct and those that survived during one of the most dramatic climatic changes in recent history: The Ice Age. Furthermore it also explores changes in bio-geography in response to changes in climate between 60.000 and 8000 years ago. This comparative approach is likely to provide novel insights into the ways in which species respond to climate change and human presence e.g. the cause of mega faunal and Neanderthal extinction.